Above is the marriage certificate of Molly Stephen's wedding on the 15th July 1946 at St Mary Magdaene's Church Holloway. The two photos below were taken after the ceremony. The first shows the bride and groom with their immediate families. 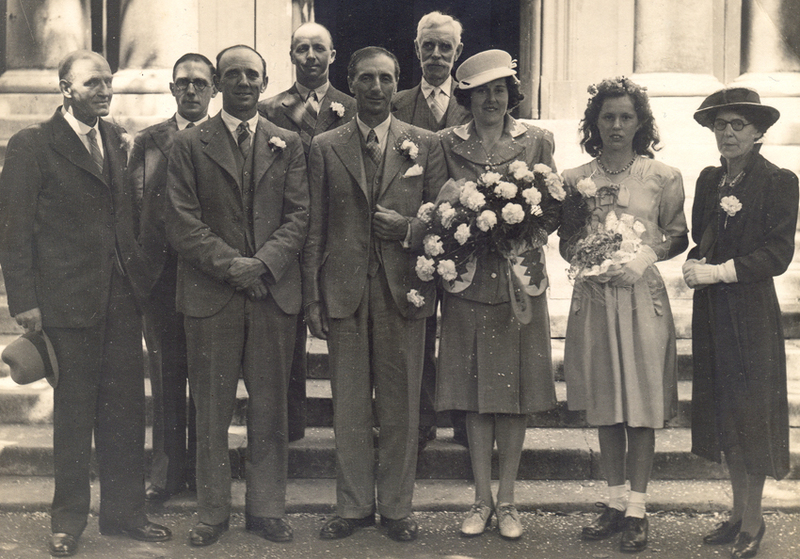 From left to right are John Ruff (Molly's father), Victor Ruff (Molly's brother), Stanley Stephens and Jack Stephens (William's brothers), William Stephens (groom), Rupert Musgrove (Molly's uncle), Molly ( the bride), Eileen (Molly's adopted sister) and Molly's mother Emily Ruff. The second photograph shows some interesting additions. 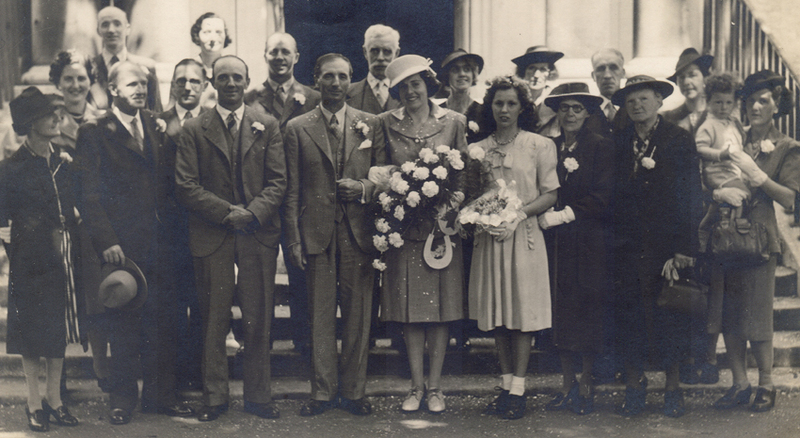 The centre grouping is the same but on the extreme left is Molly's aunt Lilly Digby, her daughter Blanche Wilson. Rupert Musgrove is joined by his wife Rene, who are next to Molly's aunt Adelaide and her husband Jethro Jewell. On the extreme right is Molly's cousin Ruby Buck holding her son John.